Fit Fluential Mom: September 9th Friday Freebies! 1. Enjoy free general admission for you and a guest to museums and cultural venues nationwide on Saturday, September 24, 2011. Visit the linked page for more details. PLEASE NOTE: Check back in June when the site will go live with museum listings and the free admission tickets. 2. Get the Cedarmont Kids MP3 Sampler for Moms free available to download from Amazon! Songs include:The Wheels On The Bus, Father Abraham, The Ants Go Marching, Ezekial Saw The Wheel and Brahms Lullaby. 3. Amazon is also giving away downloads of the Wiggles Summer 2011 sampler for free! Songs include:Thank You, Mr. Weatherman!, England Swings, Hawaiian Boogie, Clap Your Hands with Dorothy and How Many Fingers Do I See? 4. And another great kids' music download from Amazon! They're offering a FREE Sesame Street Amazon Music Sampler in MP3 format. The songs on the album include:The Wheels On The Bus, Ladybugs’ Picnic, Let’s Go Tubbin’, Oh Look What Our Baby Can Do! and What’s the Name of That Song?. Click the download link on the far top right of the page to get your free Sesame Street Music Sampler. 5. Receive a Free Dr. Seuss Lorax Activity Book. Energy Star is providing visitors with the chance to order a free Dr. Seuss Lorax Activity Book. Add it to your cart and complete the checkout process to receive yours. 6. Amazon is allowing users to download a free VeggieTales 5 Super Silly Songs Amazon Sampler! The songs include: The Hairbrush Song, The Pirates Who Don’t Do Anything, I Love My Lips, His Cheesburger and Belly Button. Visit the linked page and click the 'Get MP3' on the right to start your download for free. 7. Get 25 free MP3 songs from Urban Outfitters. All you do is click on the iTunes or Stream links at the bottom of the page & your songs will begin to load! 8. Download the New Blink 182 Single After Midnight for Free. To get it,go to the Get 182 page. Click on the link to "Fix the Sign". Stop the counter at 182 & you'll then fill in your e-mail address to receive a link to the free mp3 download. You can try over and over until the counter stops at 182. 10. Submit a Recipe to get your Free Spam Cookbook. Enter a recipe in the Spam Recipe Exchange and, once it's published, you'll get a free Spam Cookbook in return. This offer is available while supplies lasts only. In addition to the free cookbook, At the end of the challenge, five (5) winners will be awarded prizes. The top rated recipe, as defined by the Official Rules, will receive $1,000 and four (4) runners up will each receive a one-year supply of SPAM® products. 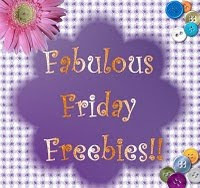 Check out last Friday's Friday Freebies too by going to our Facebook Fan page & scrolling down. Many are still active and some of the activities for kids that are free (at Lowe's, Home Depot, Lakeshore, etc) are free EVERY Saturday!